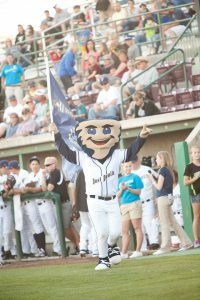 Join the Dust Devils for several nights of fun as we compete against our division rival the Vancouver Canadians! 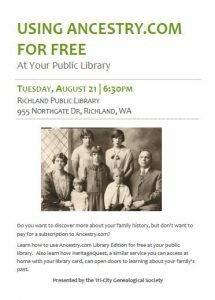 Monday & Friday-Sunday from 2 p.m. – 6 p.m.
Tuesday-Thursday from 9 a.m. – 6 p.m.
Heather Murphy will be teaching how to use Ancestry.com and Heritage Quest at the Richland Public Library. Do you want to discover more about your family history, but don’t want to pay for a subscription to Ancestry.com? Learn how to use Ancestry.com Library Edition for free at your public library to research your family. Also learn how HeritageQuest, a similar service you can access at home with your library card, can open doors to learning about your family’s past. All the fair favorites are back, from elephant ears and funnel cakes to rides, animals, live entertainment, and the rodeo. – Ben Franklin Transit is offering fair shuttles. Fair/bus combination tickets are $14 for adults and $7 for kids and seniors. Ben Franklin Transit shuttles run from 9 a.m. to at least 11:30 p.m.
– Davis Carnival hours are noon to 11 p.m. Tuesday-Friday and noon to midnight on Saturday. All-day carnival wristbands are $35. 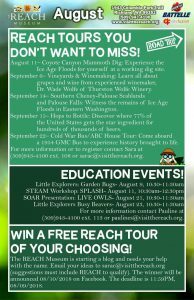 Fair tickets are available online, at the fair office, Kennewick Ranch & Home and at the gate. Albertsons, Safeway and Yoke’s stores also have fair/bus combo tickets. From 9:30 a.m. – 3:30 p.m. The Tri-Cities Alzheimer’s and Dementia Conference is designed to provide the needed tools and encouragement to family care partners and,healthcare professionals caring for people with dementia. We hear a lot about the millennial generation (also known as Generation Y — commonly born in the 1980s through the early 2000s) and differences between it and older generations. 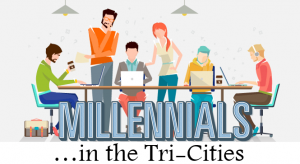 Who are the millennials in the Tri-Cities? 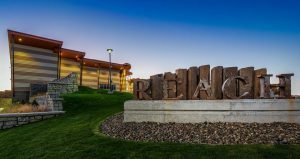 How are millennials shaping the future workforce of the Mid-Columbia region? 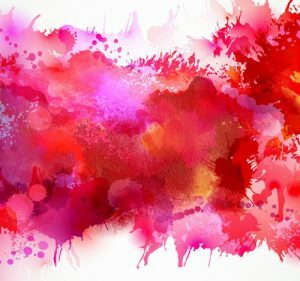 What are millennials looking for in the community? These questions will be the topic of discussion at the August 23rd Columbia Basin Badger Club forum. 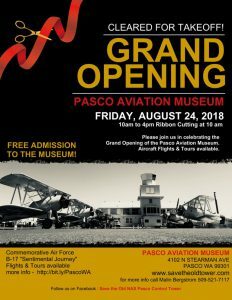 Please join us in celebrating the Grand Opening of the Pasco Aviation Museum. Ribbon cutting will start at 10 a.m. 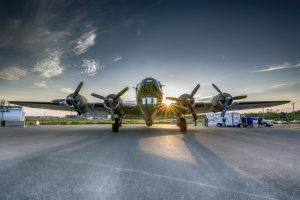 There will be Aircraft on display and Airplane rides for a fee. 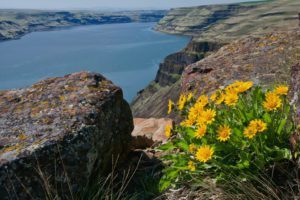 In celebration of the 102nd Birthday of the National Park Service, a Discover Pass is not needed to visit any state park on August 25 including Sacajawea State Park in Pasco. A Discover Pass will still be required on this day to access lands managed by the Washington State Department of Natural Resources and the Washington Department of Fish and Wildlife. 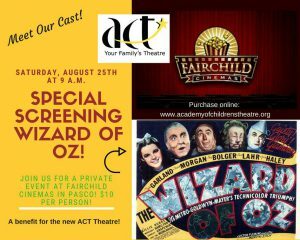 Join Us on Saturday Aug 25th at 9 a.m. at Fairchild Cinema in Pasco for this special screening of 1939 MGM Classic The Wizard of Oz. Dorothy, Toto, and all their friends return to the big screen for one day only and all the proceeds go to support the Academy of Children’s Theatre (ACT) theatre expansion project! Join Mid-Columbia Mastersingers to kick off the start of the 2018-19 season and celebrate the launch of our newest initiative, Mastersingers Youth Choirs! Hear from our staff about this amazing program and how we will incorporate them in our season programming. This is a non ticketed event and there is no cost to attend. 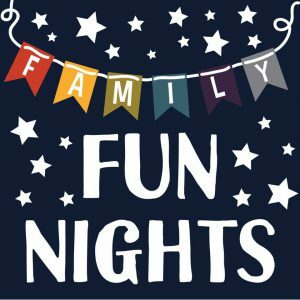 Anyone from the community is welcome to join us! Donations will be accepted to help support our new Youth Choirs, the “heart and soul” of our program. Thanks to a generous gift from John and Priscilla Cadwell, all donations up to $10,000 will be matched that night, so please give generously! Guests will receive one complimentary glass of wine and a tasty tidbit at arrival. 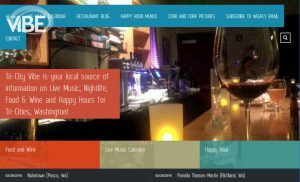 Additional wines by the glass and bottle will be available for purchase by Frichette Winery as well as food for purchase from food trucks Ann’s Best Creole and Soul Food Cafe and Fresh Out the Box. Come hungry so you can sample food from both! 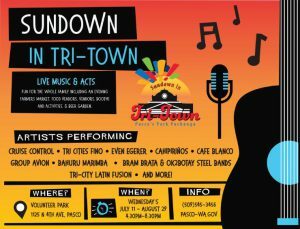 Entertainment will be provided by vocalist Curtis Nettles. Be sure to bring your own portable chairs or blankets to enjoy the outdoor seating areas, as patio furniture is limited. 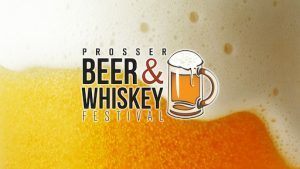 Join us for the 5th annual Beer & Whiskey Festival this summer! Award winning breweries and distilleries will have a fantastic selection of brews and spirits for you to taste during our 2018 event. Your $40 General Admission includes your entrance to the event, a commemorative event glass, and all tasting during the General Admission hours. 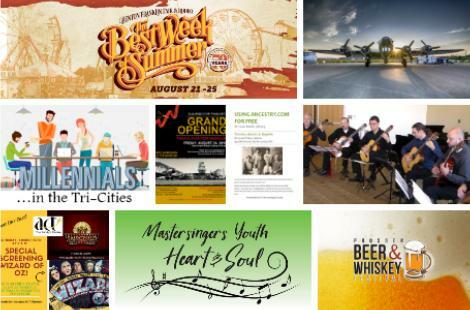 You also have access to the cigar lounge, awesome live music, and a wide variety of excellent food vendors. From 2 p.m. – 3:30 p.m. 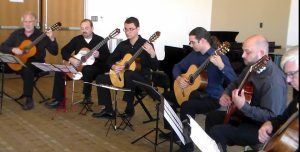 The Classical Guitar Society of the Tri-Cities is hosting their summer recital featuring classical guitar solos, duets and quartet. Performers include Michael LeFevre, Michael Edmondsen, Stella Kosim and Robert Viershilling. 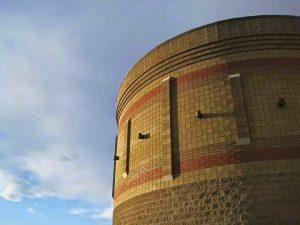 – August 24: Fractal Explorations at 7 p.m. and Supervolcanoes at 8 p.m.
– August 25: Planet Nine at 2 p.m. and Cell! Cell! Cell! at 3 p.m.